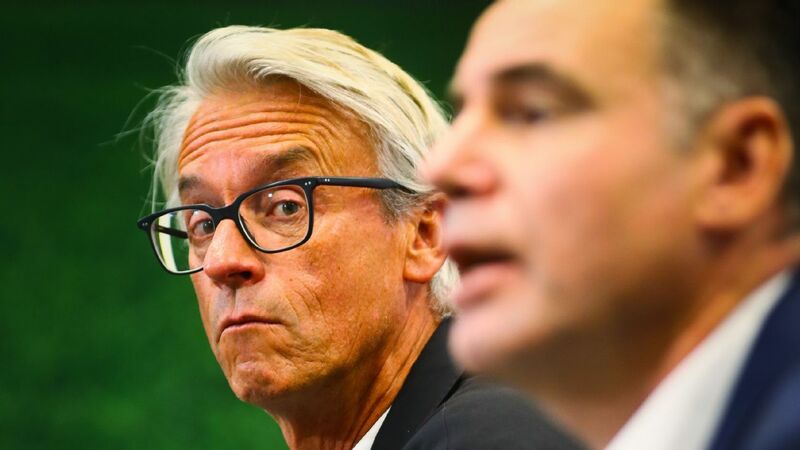 Charged with covering Australia's World Cup odyssey, ESPN FC's Steph Brantz reflects on what has been a whirlwind six months for the Socceroos under Bert van Marwijk. Holding my passport open to the page bearing a single-entry Russian business visa, the customs official at Moscow's Sheremetyevo airport looked confused. "You cannot leave!" she said, unable to comprehend why someone working in the football media would be departing with the World Cup only half over. I know exactly what she meant: This is the party that no one ever wants to leave early, particularly one as unpredictable as the 2018 edition. Reluctantly following Australia out of Russia after they slumped to a 2-0 loss to Peru in their final group game, I watched Les Bleus progress from Northern France, and then the quarterfinal between England and Sweden from a pub in London, rammed with frenzied fans of the Three Lions who seemed to be almost too scared to dare hope that, just perhaps, this might finally be their time. It seemed a far cry from my experience on the ground in Russia, where the Aussie fans were almost unanimously confident the Socceroos would magically go from being massive underdogs in their group to sneaking a cheeky spot in the last 16. Such is the eternally optimistic view of a travelling Australian sports fan. Kazan is a beautiful city in the southwest of Russia. The capital of the Republic of Tatarstan, its historic Kremlin building stands at the highest point overlooking the Volga River, and with a view on the FIFA Fan Fest. For the group stage of the World Cup, the city had been taken over by fans and media from not just Australia but also Colombia and Japan. The locals were welcoming and keen to know if we liked Russia despite the bad reputation they felt they were given by the world's media. Bauman Ulitsa, the main thoroughfare, was teeming with jerseys from every era of Socceroo history, along with a smattering of Australian cricket team and Wallabies shirts -- perhaps the only green-and-gold strip in the wardrobe? The Australian fans filled bars and restaurants, and the ubiquitous chant of "Aussie, Aussie, Aussie, Oi, Oi, Oi" was never far away. Predictions on the street ranged from the Socceroos progressing out of the group to apparently winning the whole shebang. 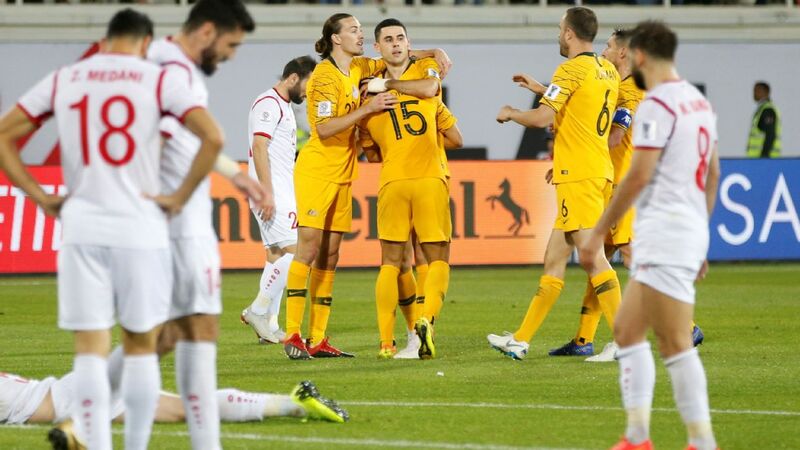 The decision to base the Socceroos at the home of AK Bars, the local ice hockey champions, was a masterstroke, a decision fortuitously (and somewhat ironically) made by the outgoing coach Ange Postecoglou before the draw was conducted. The camp itself was just metres away from the training pitch, and early on it became clear that security was a priority. Upon our arrival, the ESPN team decided to head over to familiarise ourselves with the layout. Football Federation Australia media and communications manager Adam Mark was there to greet us, completing preparations in a still-empty media centre, and after a quick look around we headed off. A helpful security guard offered us a shortcut back to our vehicle, waving us through a huge locked gate. Wandering through, we unwittingly found ourselves in front of the team's accommodation setup along with a large group of recently arrived Socceroos. If the lads looked happy, though travel weary and perhaps a little confused to see us there, their attendant security was categorically unhappy with our presence. 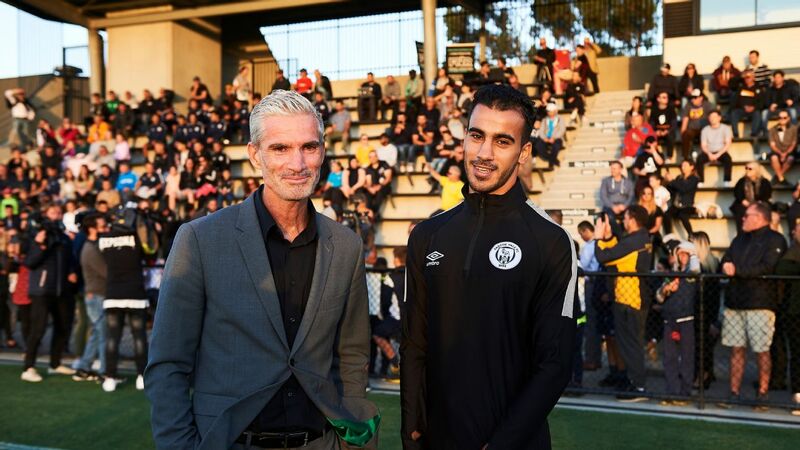 Exchanging a few words with Tim Cahill almost sent the FIFA detail into conniptions -- apparently we were in a strict no-go zone, and we were ushered out at breakneck pace. I never saw that gate open again, and the guard who had let us through later told us that the complaints about our access to that area had gone all the way to Moscow and back. Great start! To join the media phalanx in Kazan that rode every bump with the men in green and gold was at once a privilege, a joy and more than a little frustrating. The Australian media centre was a like a home away from home. With football occupying a relatively niche space in our sporting landscape, the cohort is a small and relatively tight knit one. In a land far away, the faces are all familiar, particularly the ones that break the coffee machine on the first day. Journalists without coffee -- not a great combination. The days soon took on a familiar routine: arrive at the training ground; receive an extremely thorough body and equipment search; head into the stands to watch a brief portion of the training session; and then onto the news conference room, where trying to wring a new angle out of the players provided each day for interviews was almost as challenging as predicting Bert van Marwijk's starting XI for the opening group match. 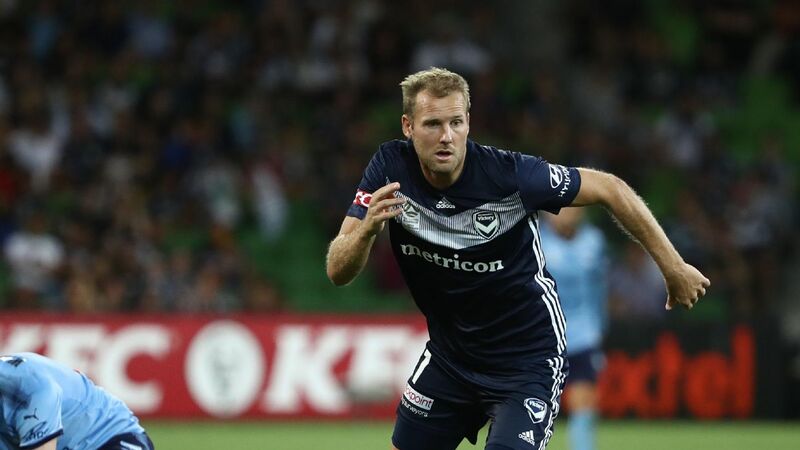 While the media shadowing the Socceroos' every move are for the most part an amiable bunch, everyone was after an original news line, and this became the daily challenge, as player after player fronted up with the same message. Every. Single. Time. Myriad variations on how "playing as a team within the structure the gaffer had created, they could take on anyone in the world" were trotted out. Rinse and repeat. There were exceptions. Josh Risdon added a humorous touch as he recollected leaving his new bride just hours after getting married to join the team in camp, while Jackson Irvine talked of his emotional attachment to his flowing locks, a look at odds with the rest of the side who had all succumbed to the ministrations of Aziz Behich's hairdresser while in Turkey. Well, all except Irvine and, of course, Aaron Mooy. Daniel Arzani, 19, was a rare breath of fresh air, starting his first news conference with "Jesus Christ, this is cool!" Finally, a frank admission that being here was a really big deal. We were joined each day by five Dutch journalists whose sole purpose, it seemed, was to document the progress of Van Marwijk and his assistant Mark van Bommel. Clearly the next best thing after the Netherlands failed to qualify. They were familiar enough with the coaching staff to hang over the fence at the training pitch and chat with them, though they remained elusive on the details of those conversations. Ahead of the opening clash against France, the message out of Camp Socceroo was cool, calm and collected. But the first few days in Russia left us in no doubt as to how the rest of the world viewed the prospect of facing Australia. In the official pre-match news conference, one journalist's opening salvo was to ask French goalkeeper Hugo Lloris how he planned to keep his concentration for 90 minutes when he could expect to see the ball only once or twice. The TV reporter for Euronews declared: "Australia are happy just to be here." 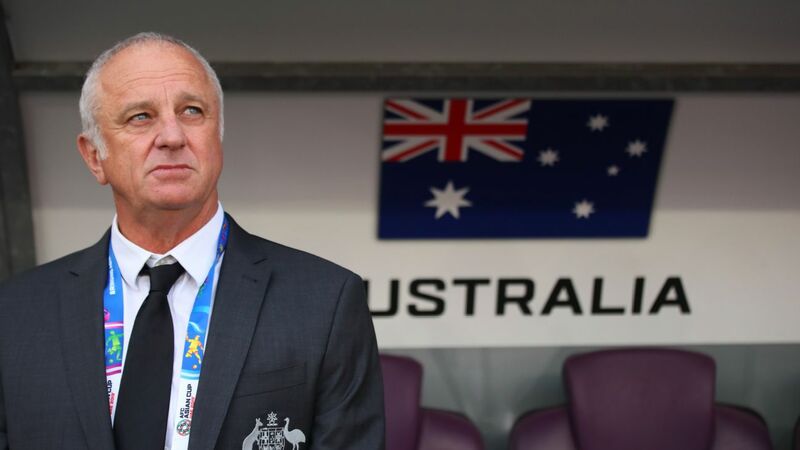 Van Marwijk had other ideas, and made it clear from the start that Australia might not have better players but their aim was to be a better team. To watch the Dutchman up close in Russia was to observe a masterclass in how to approach a major tournament, regardless of how minimal the resources at your disposal might be. He carefully controlled the environment, and while it looked like Van Bommel and Co. were running the training sessions, Van Marwijk was definitely calling the shots. Unlucky not to nick a point in their 2-1 loss to France, the new-look Socceroos certainly put the "making up the numbers" theory to bed at the Kazan Arena. Plaudits poured in from unexpected quarters for a side that was solid if not spectacular against an out-of-sorts Les Bleus outfit, yet Van Marwijk was unmoved, declaring that a goalscorer was the piece of the puzzle he had yet to find. This became a self-fulfilling prophecy as the tournament wore on. Socceroos captain Mile Jedinak fronts up to Australia's travelling media pack. Internally much of the media questions now focused on the newly blooded Arzani and on what part, if any, Cahill would play. Seemingly bored with the speculation, the players stayed on message and Van Marwijk became ever more abrupt. A quick chat with one of the Dutch journalists revealed much: "He won't change a thing -- Bert lays a foundation, he creates building blocks and then he sticks to it so the team can improve consistently," he told me as we sat in the stands. Former Denmark international turned pundit Kasper Lorentzen added to our number as the side prepared for the Danes. He too was generous with his time and information, and I doubt by the end of three days there was any Australian media that hadn't interviewed him. A tour of the Socceroos' headquarters offered a much-needed diversion. A glimpse into the treatment room was followed by a visit to the dining room for a brief chat with the chef charged with fueling the players for the duration of their tournament. We were herded through the extensive gym and indoor pool as well as a look around my favourite room -- the relaxation zone, complete with pool tables, dart boards, Fussball and PlayStations. Then it was off to Samara. The discussion in the media room was around transportation, and we were one of the groups that decided to change our plans and drive rather than fly, thus saving ourselves an extra six hours of travel via Moscow. 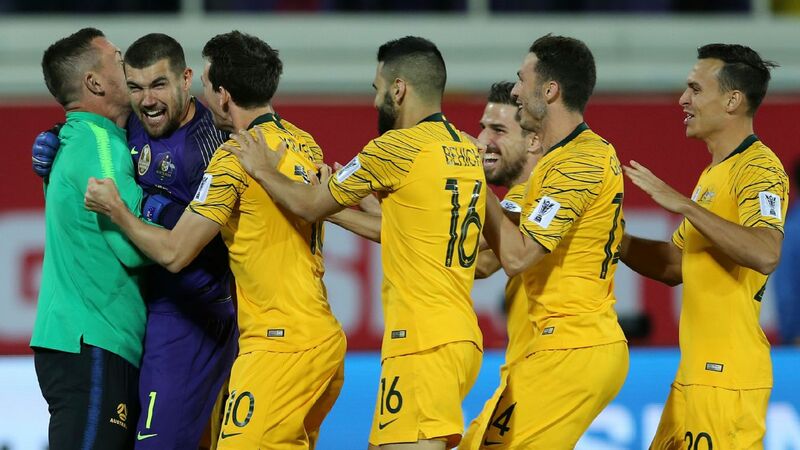 A win over Denmark would have changed the context of the final Group C game, but once more an inability to capitalise in the final third left the Socceroos with a lone point from the 1-1 draw and facing an uphill battle against Peru. Now the players spoke of heavy legs and seemed a little wearier. A day off was prescribed to refresh the players, who aside from one afternoon with their families had had little respite from their intensive regime since they joined up for their pre-tournament camp in Turkey. It made for an entertaining afternoon for us as we trawled the streets of Kazan hoping to catch some vision of the players out and about. Whether it was helpful for the players, we'll never know: South American nations have traditionally been tricky opponents for the Socceroos, a statistic that would unfortunately hold true in Sochi. And just like that, the lights came on and Australia's part in the festivities was finished. As the players scattered to the winds almost immediately, the media charged with covering the team packed up our lives and joined the line at departures. Neither a success nor a failure, Van Marwijk's six-month tenure as head coach of the Socceroos was over. 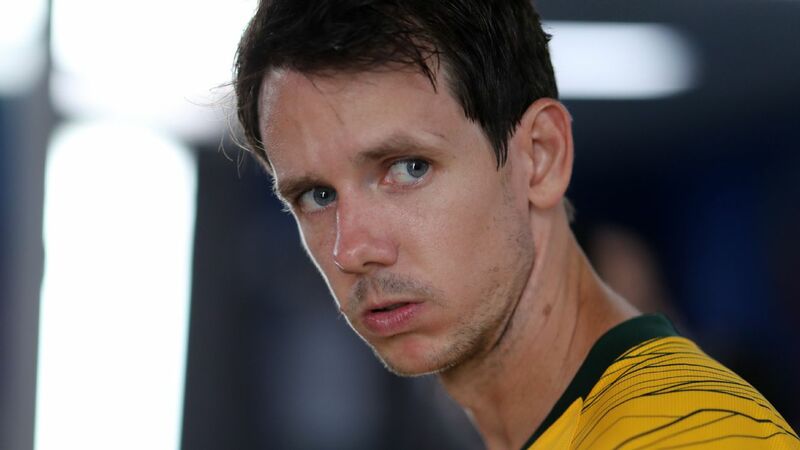 In pure football terms, Australia's World Cup campaign was not a fruitful one. 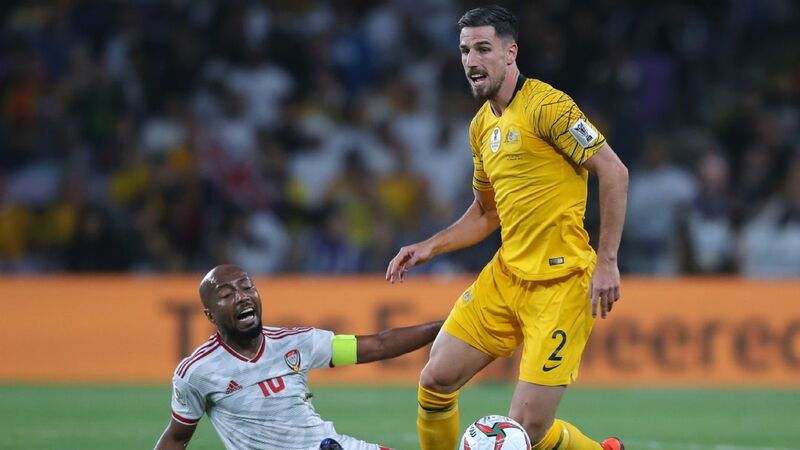 A valiant effort, but the Socceroos were the only side from the Asian confederation to fail to win a match. Van Marwijk did just what he was brought in to do. Taking a side that had limped over the line in a 22-match qualification marathon, he moulded them into one that could compete at a World Cup. Typically breviloquent, Van Marwijk's most pertinent quote came perhaps in one of his final interviews, when he declared, "I'm not a magician." 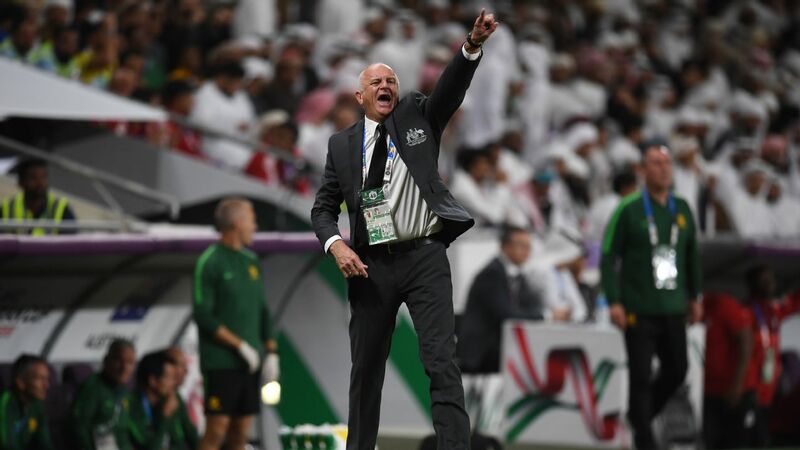 Now it falls to Graham Arnold to conjure up a striker and take the side forward onto their Asian Cup defence and beyond. The nations that made it deep into the 2018 FIFA World Cup all share a common characteristic -- they score goals. And that's why they got to stay at the party.